Nippon Paint Colour My World 2019 is available for download! 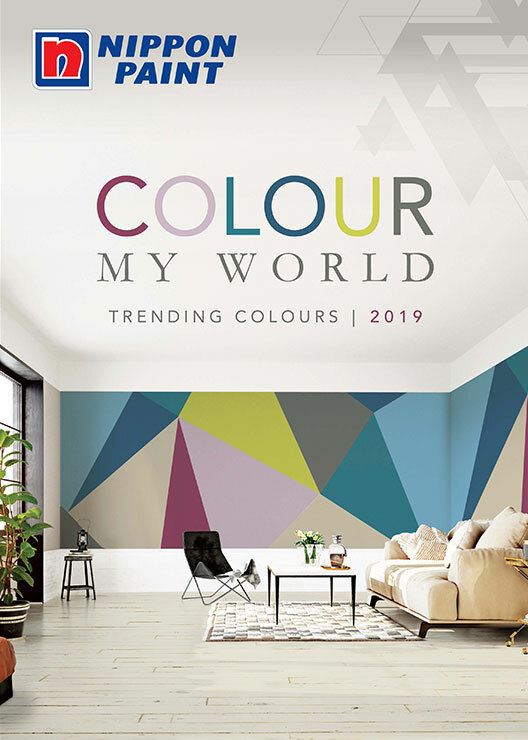 Get the latest paint colour trends 2019 from our Nippon Paint catalogue. A splash of colour is sometimes all it takes to brighten and refresh your existing surroundings. Who knows, new experiences might be birthed forth to create new legacies with 2019 interior design trends. In fact, a little imagination goes a long way.. and Nippon Paint Catalogue has what it takes to stretch your imagination and to turn your memories into living colours along with paint colour trends. So go on, ask any of our consultants for interior paint ideas today, because we know colours like nobody else. This PDF is designed to help you with colour scheme ideas. Colour chips shown are not accurate for choosing. Always refer to the actual colour samples compared together under different lighting conditions before final decisions are made.